Beverly Buchanan initially trained as a public health educator having studied medical technology and came to art later, training at the Art Students League under Norman Lewis and finding mentorship in Romare Bearden. Buchanan’s practice traverses site-specific interventions, photographs, drawings, painting and sculpture, and while her practice has often been considered as folk art, her work subverts the boundaries of categorization. Rather her practice boundlessly explores issues of race, gender and memory; dealing intimately with issues related to racial discrimination and hardship, slavery, the overlooked and the daily lives of the disadvantaged. The only major show she had was conceived in her lifetime and came to view posthumously in 2016 at the Brooklyn Museum. Early concrete sculpture recalled ancient tombs as well as dialoguing with the primary structures of contemporary minimalists. 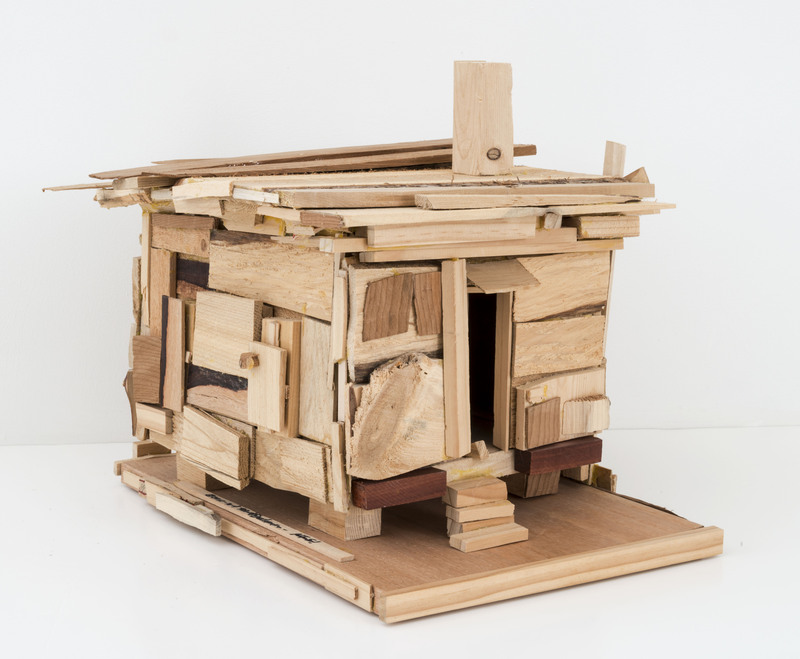 Buchanan is best known for a series of paintings and sculptures of shacks from which the present work is selected. Buchanan was born in North Carolina, raised in South Carolina and spent much of her working life as an artist in Georgia. Her experiences as an African American woman in the southern states of America manifest a sincere and intimate sense of hardship, knowledge and growth -- the voice of struggle that deserves to be amplified today. Beverly Buchanan initially trained as a public health educator having studied medical technology and came to art later, training at the Art Students League under Norman Lewis and finding mentorship in Romare Bearden. Buchanan’s practice traverses site-specific interventions, photographs, drawings, painting and sculpture, and while her practice has often been considered as folk art, her work subverts the boundaries of categorization. Rather her practice boundlessly explores issues of race, gender and memory; dealing intimately with issues related to racial discrimination and hardship, slavery, the overlooked and the daily lives of the disadvantaged. The only major show she had was conceived in her lifetime and came to view posthumously in 2016 at the Brooklyn Museum. Early concrete sculpture recalled ancient tombs as well as dialoguing with the primary structures of contemporary minimalists. Buchanan is best known for a series of paintings and sculptures of shacks from which the present work is selected. Buchanan was born in North Carolina, raised in South Carolina and spent much of her working life as an artist in Georgia. Her experiences as an African American woman in the southern states of America manifest a sincere and intimate sense of hardship, knowledge and growth — the voice of struggle that deserves to be amplified today.